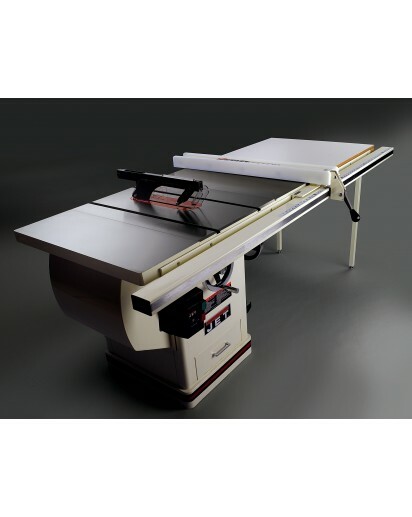 29" x 20" (29" x 42" with extension) 4 300 2-1/8"" / 3"
A high quality table saw is a must-have for any home or professional woodworker, but finding such a treasure that doesn’t break the bank is often a challenge. You can settle for a portable jobsite table saw, but what if you don’t plan on moving your table saw around and want something that is the best quality you can find? 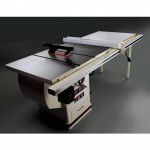 If you have the budget for a top quality cabinet saw, you may want to have a look at the Jet 70867PK XACTASAW Deluxe, since it has the high quality and feature-rich functions that should serve most woodworkers quite well. How Hard is the Jet 7086PK XACTASAW Deluxe To Assemble? The XACTASAW is not difficult at all to assemble, it just takes time and patience. You should make sure you have an extra person on hand to help with unpacking and setting up the table saw, since the saw weighs in at over 500 pounds. The assembly instructions are clear and well-written, and easy to follow. It took me around 2 and a half hours to have the saw assembled and aligned, and I never really broke a sweat. Aligning the saw was a dream, truly, since it was almost perfectly accurate straight from the manufacturer. As long as you are careful to align the front rail properly to the saw, your own experience should be similar. Just make sure you test all of the accuracy measurements with a digital gauge to ensure everything is zeroed in. What Are the Best Features of the Jet 7086PK XACTASAW Deluxe? Perhaps the best feature of this saw is the extra-wide extension table and the rip capacity of the saw. You get 50” worth of rip capacity to the right of the blade, which is among the highest I’ve ever seen in a table saw of this class. The extension table and saw itself are cast iron, and very finely ground, so the finish is quite nice. I also appreciate the inclusion of a storage drawer in the cabinet itself. This makes for a nice place to store accessories and components when they are not in use, and is a very nice finishing touch to an already superb table saw. The 3HP motor is one of the most powerful motors I’ve seen on a table saw, and helps make this saw a true beast in terms of its cutting capabilities. I’ve cut through some of the hardest wood around using this saw, and it never slows down or binds up while I’m cutting. How Durable is the Jet 7086PK XACTASAW Deluxe? 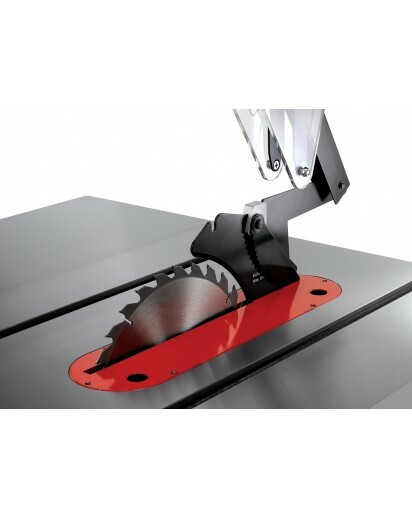 Made out of cast iron, this table saw is extremely durable. 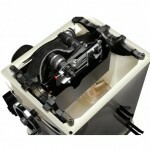 The motor is well-constructed and rugged, and almost all of the parts are to the same caliber of quality. The only problem I ran into was with the screws included in the wiring block; one of the screws stripped almost immediately as I was wiring up the table saw. Is the Jet 7086PK XACTASAW Deluxe Easy to Use? I’ve used quite a few table saws in my day, and the XACTASAW is probably my favorite. Everything is situated right where it should be, making it easy to start and stop and feed wood pieces through. The miter gauge included with this saw is the best I’ve ever seen, even better than most of the third-party miter gauges I often turn to for replacing the miter gauges on my table saws. The shrouded blade makes dust collection a dream, so you barely see any dust at all, if you have the proper dust extraction vacuum running. The quick-release riving knife is easy to put into play or remove from action, depending on your cutting needs. Finally, the rip fence is smooth like butter and as accurate as anything I’ve ever seen, which is a real feat when you’re looking at so much rip capacity! What’s the Warranty Like for the Jet 7086PK XACTASAW Deluxe? Jet covers the XACTASAW Deluxe with a 5-year warranty, and their customer service staff are among the best in the industry. Whatever your question or problem, they quickly and efficiently take care of your needs and get you cutting. The Jet 708675PK XACTASAW Deluxe is just what you would expect from a medium-budget cabinet saw, and more. The extra large rip capacity makes this tool useful for a wide variety of applications, and the precision and accuracy of the blade and fence are second to none. Add in the 3HP motor, and you’ve got yourself a table saw that can cut just about anything with precision and skill. 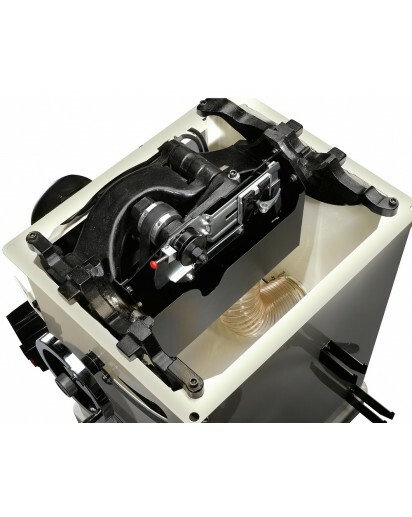 Finally, the cast iron construction will ensure that your investment lasts for many, many years, which is highly important when you are making such a sizeable investment in your power tools. Ultimately, if you’ve got the money for it, I’d say this is one of the best cabinet saws on the market. 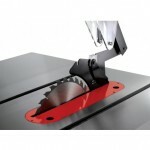 Take a look at Amazon.com’s price on the Jet 708675PK XACTASAW Table Saw if you’re interested.